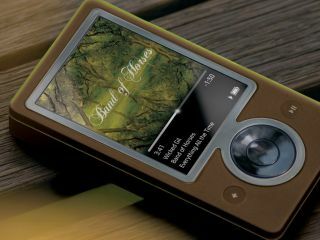 Microsoft is allegedly wheeling out Bill Gates and design chief J Allard for a special event on Wednesday that will see the company announce a trio of new Zune portable media players. Some of the new models will be flash memory-based and have a similar form factor to the Apple iPod nano. They will feature a high-resolution colour screen with video playback, Wi-Fi and more storage than their rivals, according to Beta News. ZuneScene has also published photos of what could be the new players - they show two flash-based models and one hard disk drive version. Microsoft has apparently chosen pink, brown and black colour schemes for the new models. Microsoft's Robbie Bach said in May that it had sold over one million Zunes in the US since it launched in November 2006. However it still has one heck of a way to go to catch up with Apple, which is expected to sell 68 million IPods this year alone. Cumulative iPod sales since its launch 2001 are said to be in the region of 150 million.